This week we bring you a selection from our Key Concepts section, on the Divisions of Man and Nature. Theosophical writings go into great details on the structure and functioning of the Universe and Man. While common religions go only as far as to say that Man has a body and a soul, the investigation most often ends there. And while modern science reduces Nature to simple elements they limit their field of exploration to the physical and go no further. 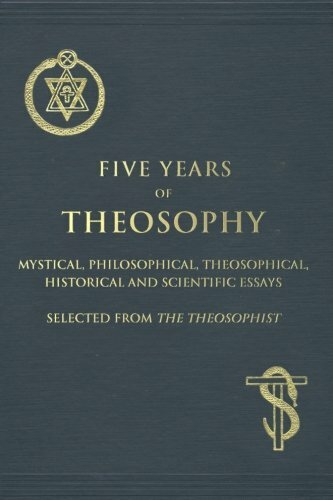 Theosophy explores both of these and more, delving into the religious concepts of soul and spirit, reaching into the depths of what matter truly is, asking the big questions like: what is consciousness? what is mind? of what is soul composed? what is the nature of spirit and matter? and most importantly: who and what is Man and what is his place in the Universe? These kinds of questions lead theosophists on a journey of exploration into the structure of the Cosmos, where certain recurring ideas arise again and again. The basic duality of spirit and matter, or consciousness and substance, seems to prevail through all. The bridge that connects these, cosmic force or energy leaves one with a view of a triple-unity in Nature. The complex makeup of Man presents itself like the sevenfold rays that result from white light cast through a prism. The relationship between Man and Universe is revealed as an essential union, the core of Man being one and the same as the core of the Universe. All these give rise to a holistic vision of just what Man and Nature are, and from this vision a sense of belonging, of being one of an infinite number of essential parts of a whole that is ever more than we can imagine, is gradually unveiled for the student.